"Spening A Nice दिन With My प्रिय Mermaid". 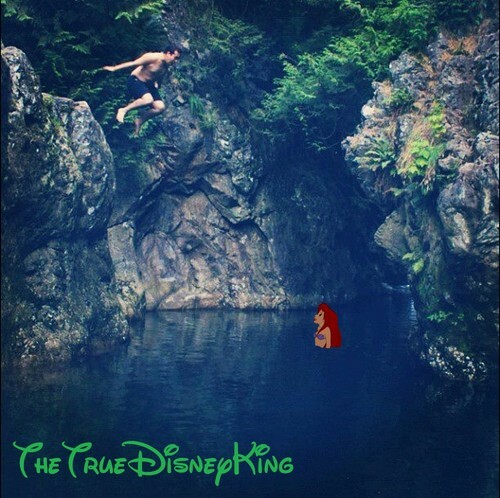 TheTrueDisneyKing had lovly दिन swimming and Clife Jumping With His प्रिय Mermaid, Ariel. HD Wallpaper and background images in the डिज़्नी क्रॉसोवर club tagged: disney crossover ariel the little mermaid clife jumping swimming under the sea princess. This डिज़्नी क्रॉसोवर photo might contain ग्रीवा, क्रैग, ऊंचे पहाड़ पर चढ़नेवाला, अलपिनिस्ट, and alpinist.